Has a loved one gifted you a baby carrier and you don’t know where to start? 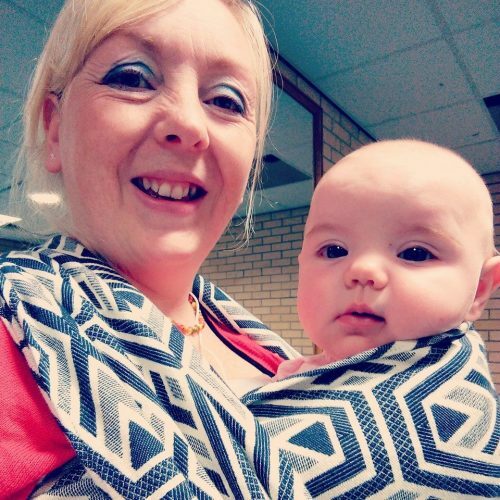 Do you know some of the benefits of babywearing but want a little helping hand to get going? Carried by Love is here to offer you baby carrying support in a friendly, relaxed and caring way. Get in touch to find out more about how to make your life easier or meet a need with a baby carrier. I would love to support you with your journey using slings. It isn’t just mums and dads that can carry their little ones. Grandparents, aunts, uncles, older siblings and other caregivers can benefit from the loving bonds that comes with carrying little ones in slings. If you have a carrier but you can’t quite get it comfy then a sling meet might be really helpful. Have a look at the sling meet page to find out where we meet and how frequently. If you think a baby carrier would help you but don’t know which one, have a look at the page describing types of baby carriers. A consultation or sling meet will give you the chance to explore your options. This can be done without the expense of trial and error buying a variety of carriers.